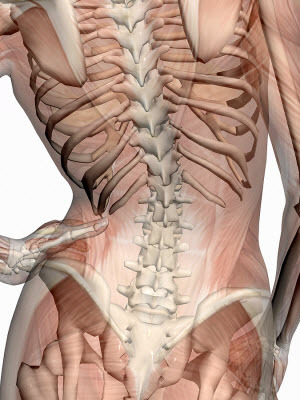 In some cases, back pain is caused by a slipped or herniated disc or by a condition such as sciatica. While traditional chiropractic care can help these injuries heal, more advanced cases require a treatment such as spinal decompression. Decompression therapy may also be used to treat pain resulting from a car accident injury or a sports injury. At Theriault Chiropractic, our chiropractor Dr. James Theriault uses spinal decompression to help patients heal. Typically, decompression therapy is repeated many times over a period of weeks. For best results and future wellness, a patient should see the therapy through to the end, even if he feels better after only a few treatments. The treatments are usually very comfortable for patients and do not cause any pain. Since only a small amount of force is applied during each treatment, most patients do not feel anything during the therapy, but may feel considerably better afterwards. Spinal decompression can be either surgical or non-surgical. At our clinic, our chiropractor performs a non-surgical version of the therapy for back pain and neck pain. Non-surgical therapy has a high success rate without the long recovery time or need for strong drugs required with a surgical treatment. During the therapy, a patient is comfortably strapped to a table. Our chiropractor uses a computer to apply distraction, or force to the problem area of the spine. The procedure applies force to the area, and then relaxes the force on the area. Pressure on the area causes a vacuum to form around the injured disc. When a person suffers from sciatica, a slipped disc, or from a car accident injury or sports injury, blood and nutrients are often unable to reach the injured area, which slows down healing and leads to symptoms such as neck pain or headaches and migraines. The vacuum formed during decompression therapy allows blood and nutrients back to the injured area, which allows the body to heal and reduces neck and back pain. The therapy is often used along with other chiropractic care or if treatments such as spinal adjustments or exercises are not enough to help a patient achieve wellness. Our chiropractor performs decompression as well as adjustments and therapeutic exercises. Some therapies, such as using heat or cold, reduce swelling or inflammation in the area of the spine that is being treated. Other chiropractic care treatments, such as a spinal adjustment, may be necessary to further alleviate neck and back pain or headaches and migraines. Once the therapy is complete, most patients enter into the maintenance and wellness phase of chiropractic care. After the body has healed, a patient can focus on maintaining wellness by learning the proper foods to eat and exercises to keep the spine strong and healthy. Dr. Theriault makes nutritional recommendations to patients based on their needs. He also teaches patients exercises to perform for improved spinal health. If you have suffered from an injury or condition that causes pain, call our clinic to ask about therapy options today.